Is it a lamb? Is it a banana? Yes! 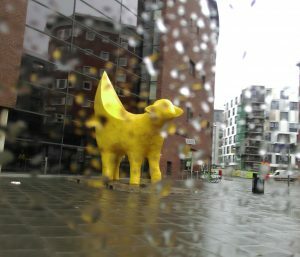 Its Superlambanana, the iconic Liverpool sculpture created in 1998 by Taro Chiezo. I give you 30 strategies – go and create something entirely new with your Nanowrimo novel this year. Here are 30 strategies which I use to write a novel in 30 days. It can be used for Nanowrimo, or whenever you need to just get that first draft done. Divvy up the action. It’s 1660 words a day but life will intrude. Count on your calendar how many days you have which contain the requisite 2 hours. Mark those as writing days. For the others, put a target of, say, 400w. Check it adds up to 50,000. 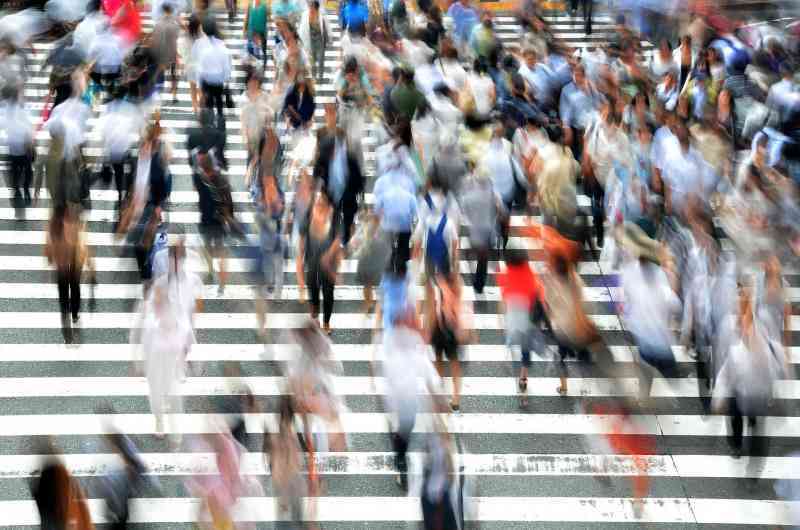 Week 1 – Set scene, introduce everybody, write the ending. Writing the ending is psychologically vital. This makes the rest of the month just ‘finishing it off’. Week 2 – First bit of action, flesh out the ending. Week 3 -When you’re sick of the sight of the thing – do scene-setting, adding details to characters and locations you’ve already done, boost your wordcount with Chris Baty’s numerous tricks, including having characters tell each other random stories, or giving every character three names. Week 4 – Home stretch. The tricky middle part still to do, so start with the ‘final battle’ whatever its form, and spread out from there. When you cannot think of anything, snuggle your face in a pillow. Or faux fur throw. Seriously. Cuddle up and picture yourself in the climactic scenes of your story. Type quickly and don’t stop. Obvious but essential. Ignore the Autocorrect stupidity. In fact, for fantasy novelists, Autocorrect will provide some of your best character names and ideas! A Persian Car Pet? Why not? Get a spreadsheet. There are always a ton of Track Your Progress spreadsheets around, available through the Nanowrimo forums or just by googling. It is amazing how motivational these are, especially the ones with charts. I work all day with charts and dashboards and mostly I hate them as a pseuodomanagement waste of time, but for novelling, they’re great. Update your wordcount on the Nanowrimo website as often as you can. Tell everyone you’re noveling. But do not mention it to your work. They may find your mystery illness spanning 27-30 November suspicious. Get the Facebook widget which picks up your wordcount from the Nanowrimo website and announces it to your FB buddies – unless your FB buddies are your workmates, in which case, don’t. See above. You need a plan to follow blindly on bad days, so make a scene list in a little spiral bound notebook: split it 15/10/15/10 and label the sections Start, Trouble, Battle, End. That’s just my guesstimate, but it should help avoid Overstarting (see #2). Remove Tumblr from your phone. I’m serious. Also Pinterest, Instagram and anything else you stare at, your mind blank, your swiping thumb the only sign you still live and breathe. You can always put them back in December. I uninstalled Tumblr, which was almost my favourite thing, in May and I still haven’t put it back. I’m getting too much done. Blog or journal your progress. A single line is all I’m talking. End or start your day with it and by Day 30 you’ll have an excellent guide to your own noveling style, which you can use to reassure/castigate yourself with next time around. Eat one-handed for a month. Lunch is sandwiches, dinner is pasta. Type with the free hand. Come on, you’re not the Queen. Be prepared to hate your novel at any point. Try not to take it personally. Conan Doyle hated Holmes and swore he’d never write another word after the Reichenbach Falls. He held out for 8 years, but you don’t have that long. Just think UGH and continue. Make a list of things you love about the kind of novel you’re writing. I love unrequited love, sarcastic people, intricate cities and happy endings. You might love tall ships and heroes with squints. So whatever’s on the list, make sure you put it in your book. Or really, what’s the point? Open each day’s scene list with a light heart. It’s only a novel. Start typing. You’re way ahead of the people who signed up for Nano and then did nothing. Make a list of names for background items which might crop up. These could be mere placeholder names, for speed – but they can’t all be Smith. Grab Seventh Sanctum’s amazing set of generators and make a list of people, towns, pubs and brand names you might need. Back up your work – I use Evernote AND Google Drive as well as my own PC – but don’t look at it. Abbreviate. Make AutoCorrect work for you in Word/on your phone. This can plus-up your word count too: you type HPRZ, it puts High Priest of the Realm of Zinnador. 7 words for your one, and more time for creation. When you are exhausted, write 100 more words. You really can do this. Just 100 more. This increases faith in yourself too. Pick your noveling music before you start. I love Classic FM, but also movie soundtracks. Check out Audiomachine. Nothing with words! If your scene list item develops into a paragraph or more, brilliant. never mind the No-prose-before-November rule. Just use those words. No blank page for you, sirree. Steal time ruthlessly from other activities. Do the Tesco shop in 7 minutes but say it took 60. Sit in the car and write. The shopping’s still done, right? Feed your brain between writing sessions. I recommend TV drama. There are also books. But remember: 1660 words first, X Factor finals second. Buddy up with like minded people on the Nanowrimo website. Buddy me if you like, I am usually encouraging! My author page for Nano is below. Remember, everyone else is just trying to eat, sleep, work, raise children. You’re doing all that AND writing a novel. That makes you special, forever. And so Good luck! And if on your journey, you discover more Nano-winning tips, please let me me know. Buddy me! Here’s my Nano page. Write the ending on the first day! That sounds like a plan. some excellent tips here, and now I know why I haven’t seen you on tumblr – good for you!